Do you keep an organic landscape? If so, you’ve probably seen earthworms burrowing around in the soil. You probably also have a layer of earthworm castings near the top of your soil. That’s a good sign you’re doing something right in the garden. If you use synthetic fertilizers and other chemicals in your garden regularly, chances are you don’t have much earthworm activity. Many synthetic fertilizers either kill them or repel earthworms, forcing them to leave your soil for your neighbors yard. Our organic liquid compost extract fertilizers are beneficial for the soil, the earthworms and your landscape. Earthworms are the powerhouse of a healthy soil. They burrow through the earth with the point of their heads, allowing oxygen and even water to permeate our hard, clay soils. This action aerates the soil, providing oxygen to plant roots and allows water to permeate and drain properly. In one acre of soil, you may find as many as 50,000 earthworms. As they feed, organic matter passes through their bodies, leaving behind castings. These small, granular piles can be found throughout the garden. Earthworm Castings are an excellent fertilizer for our plants. They offer incredibly dense nutrients easily used by our plants. Because our soil does not freeze here in north Texas, our earthworms stay active through winter. In fact, dig through your garden in the cooler months and you’ll find both young earthworms and eggs waiting to hatch. In rainy weather, they tend to feed more and become more active, which is why you may see an increase in castings in fall and spring. 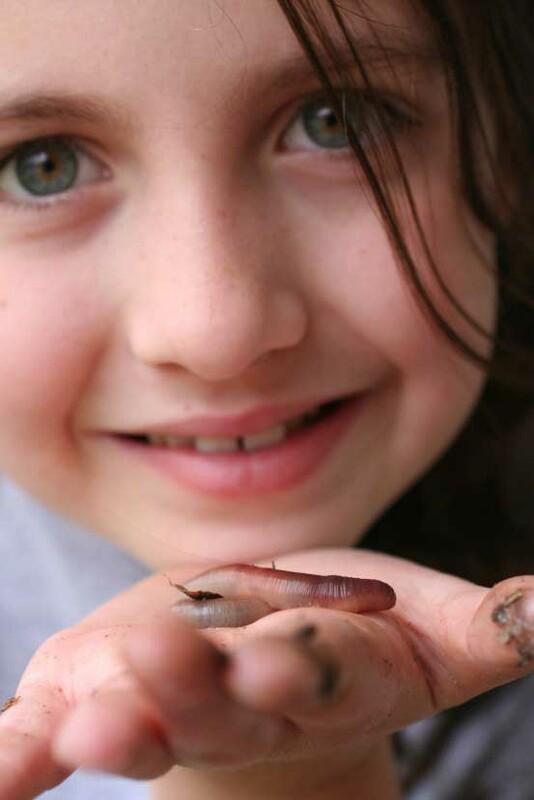 Our soils are alive with bioactivity, microorganisms and life, so we hope you will choose an organic program for your garden … and the earthworms! Next week, we’ll talk about Vermicomposting, which is using worms to create compost.